The Damnesia marijuana seeds are a new twist on a very popular strain, the A.M.S. Thanks to the Amnesia influence this plant is now fruity yet woody, flowery yet mossy; â€¨it is a truly balanced mix of the parents’ heritage. Medium to tall plant, the Damnesia grows long branches and makes long colas. â€¨The foliage is light green with red hues, and the buds develop amazing resin. The leaf shows some sativa heritage, but the flowering time is contained in 9 weeks.â€¨â€¨The Damnesia likes a moderate feeding regime with a maximum EC of 1.9-2.0 depending on the grow parameters. The taste is fruity, like a bouquet of tropical fruits, but has a deep sativa aftertaste, very complex. The Damnesia has a strong appetite-stimulating effect and is good for pain control. 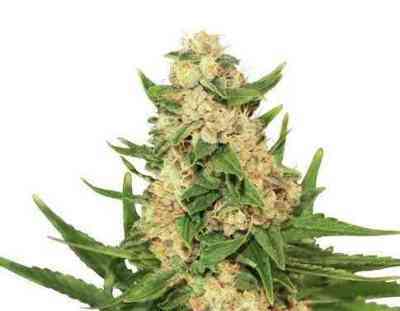 Damnesia cannabis seeds are a Strain Hunters Seed Bank strain. Scent (unburned): sandal wood, incense black pepper. What the dried bud/crumbled bud looks like: the dried buds are long, pear shaped and have small calyxes. The trichomes are dense and thick. The crumbled bud is brownish-green with red hues. Small, thin hairs. Speed of high onset: creeper, but fast onset. Quality/type of high: strong, cerebral, social, good for meditation as well as creative moments.